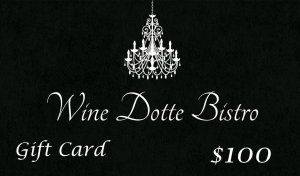 Wine Dotte Bistro is a great place to meet friends for wine, food and conversation. 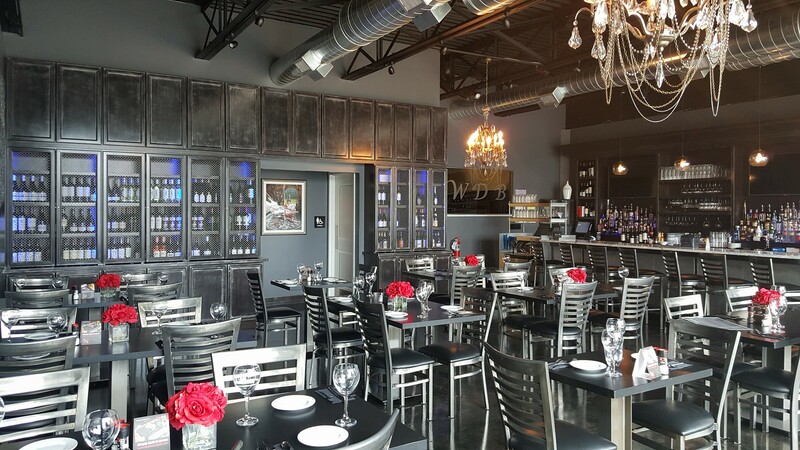 It is an elegant but casual wine bar restaurant located in Downtown Wyandotte District on the Detroit River. This hidden gem has a vibrant and industrial design with warm tones, crystal chandeliers and mix-media artwork. The soft seating area has a flair that offers guest to relax, unwind and enjoy the electric wine list by the glass or bottle or maybe a fashionable cocktail by our top shelf Mixologist. Behind the bar and kitchen, you find a passionate and experienced team to offer our guests the ambience and exclusive dining experience they deserve. The Chef’s culinary techniques will bring a unique twist of flavors from the kitchen to your indoor seating or our chic stylish outdoor patio. Every $50 gift card purchase a $5 gift card is earned. One way to get in touch with us is to fill out the following form. Please provide as much information as you can, one of us will be in touch with you soon!